People with disabilities, their families and the public are invited annually to provide comments on the Olmstead Plan and draft amendments. The feedback is documented and provided to state agencies for consideration as part of the amendment process. Public meetings are being held over the next two months in a number of locations across Minnesota. There will be two rounds for public comments and multiple opportunities to attend a session. Comments can also be made by phone, email, or online. 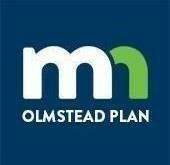 For more information, visit the Olmstead Plan website’s 2018 - 2019 Public Comment Process page. Click here the view the full bulletin.